Just one Lifetime won't be enough for us. When your love goes beyond the biggest oceans, share your beautiful love story with others! 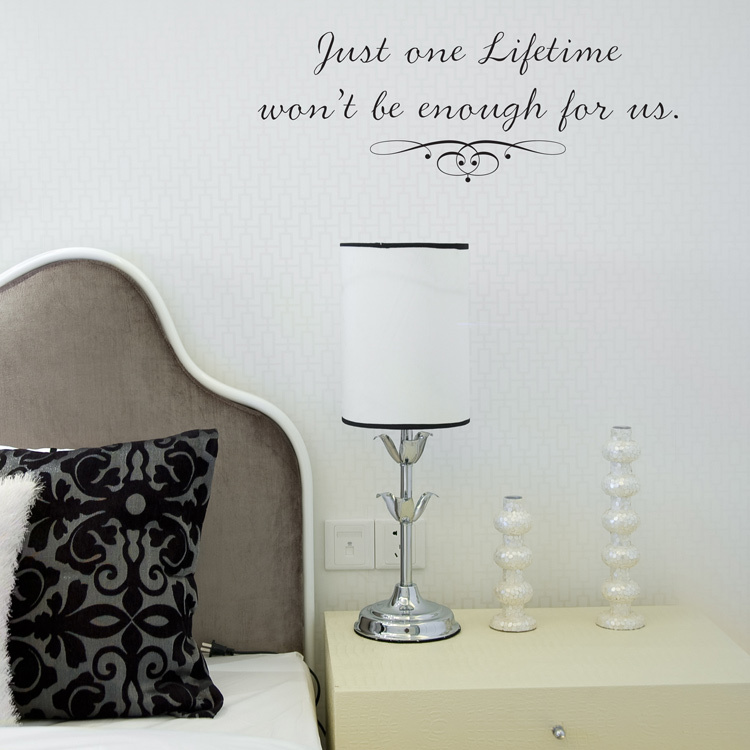 Our wall decals are ideal for bedrooms, offices, living rooms, entryways, classrooms, even your car, bathtub or glass shower doors! Large size measures 61.5 inches wide by 22 inches high. 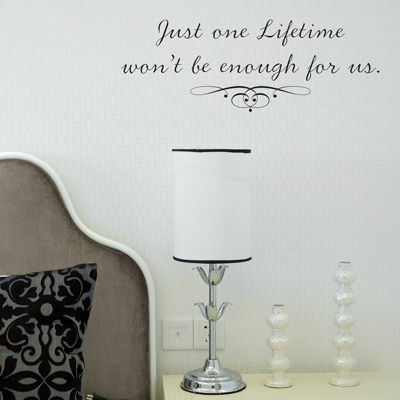 Both sizes of this quote decal comes in one piece, ready to apply, but can be cut apart if you would like to separate the lines of text to create your own look. Thank you so much for the beauitiful wall vinyls. I got the swirling poppies for my black and white bathroom. I just put them up yesterday and already have gotten TONS of compliments on the pictures of them I took. They were super easy to put up and I just absolutely love them. Thanks again. We just put up our decals and they are wonderful! They were easy to put up and all look fantastic. I had an image in my head for our new baby's nursery and Dali Decals had exactly what I had hoped to find. The fact that there were so many size, design and color options made it perfect. thank you! !